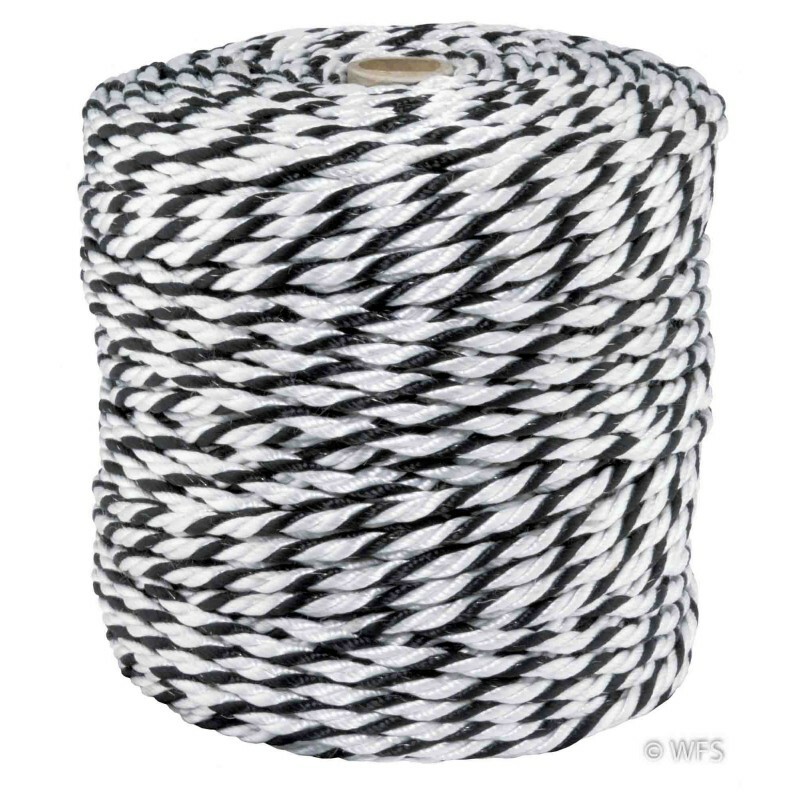 A polyester twisted rope conductor for permanent and semi-permanent electrified fences. A twisted rope conductor for permanent and semi-permanent electrified fences. Made of 3 cables of twisted polyester fibers into which 3 tinned copper and 3 stainless steel filaments are intertwined. 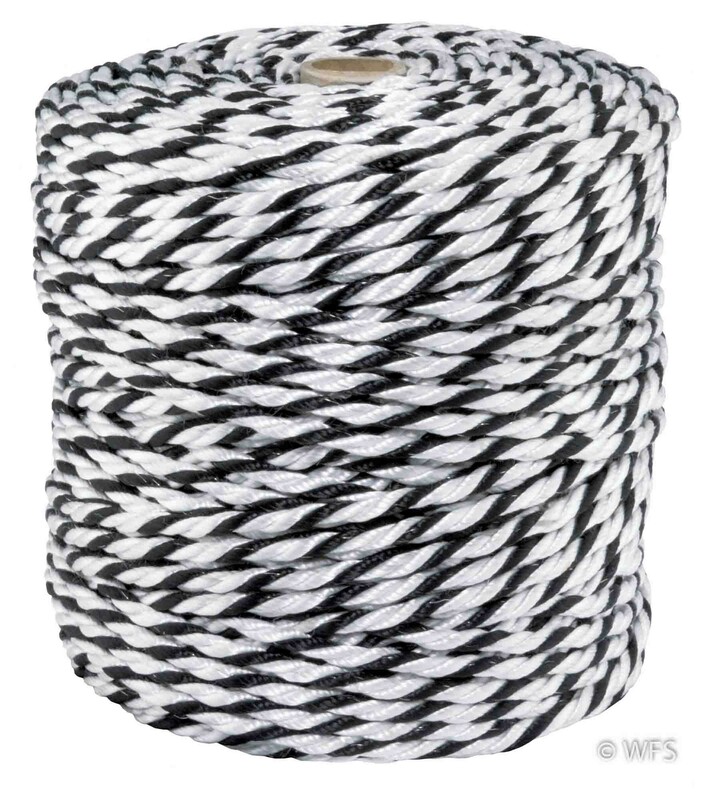 The polyester is soft to the touch and nice to handle and can last up to 25 years. High conductivity in all seasons. Available in 660' or 1320' rolls.